1. 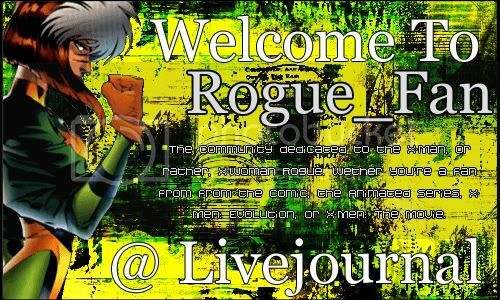 Don't join the community just to bash Rogue, that's stupid. 2. Collective criticism of others writing is allowed, but don't be rude. 3. All fan fics must be posted behind an LJ cut. 4. If posting graphics, please post behind an LJ cut. 5. If posting more then three icons, also use an LJ cut. 6. Be nice, and friendly. Be Active :D!